They were assisted by paid physicians, midwives, surgical staff, and specialist service providers ranging from lithotomists to women paid to undertake pilgrimages. The Hôtel-Dieu records are sufficiently detailed to reveal many of the names of the midwives and chambermaids employed in the birthing room as well as their rates of pay. Traditionally, pregnant women could be cared for at the institution some time ahead of their expected delivery date and remain there until after the birth of their child. As a charitable service, demand was especially high among the poor. The women and men who published obstetrical texts in the early modern period cited their time at the Hôtel-Dieu as a sign of their deep knowledge and wide range of experiences. After all, there was no place in France in which one could hope to see such a large number of deliveries, and that presented such an ideal opportunity to understand the varied courses that childbirth could take. 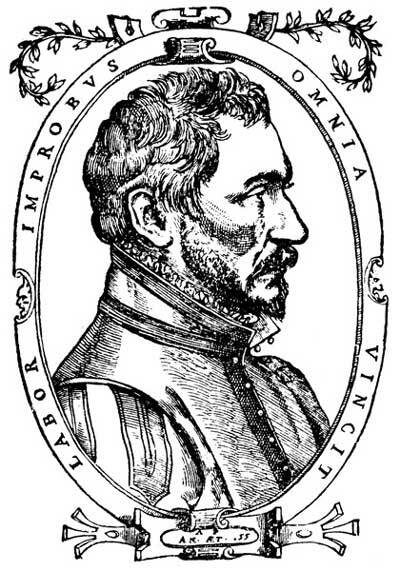 Ambroise Paré, a man of humble origins who became surgeon to a series of Valois kings, claimed that he spent three years working at the Hôtel-Dieu in the 1530s which allowed him to observe all manner of illness and injuries presented there. His French-language treatise on obstetrics, Deux livres de chirurgie, de la génération de l’homme, & manière d’extraire les enfans hors du ventre de la mère (1573) based on his experiences became a highly influential text for the following generation but he did not, as is often claimed, teach in the Hôtel-Dieu nor did he open a school there. Indeed, it was the Hôtel-Dieu that had taught him. Louise Bourgeois, midwife to Marie de Medici and the first of her profession to be published, claimed that part of her understanding of the human body came from reading Paré and from her midwifery experiences at the Hôtel-Dieu. She published a series of obstetrical texts from 1609 to 1634, including documenting her deliveries of Marie de Medici’s children while the royal physicians and surgeons, and Henri IV himself, waited beyond the door. 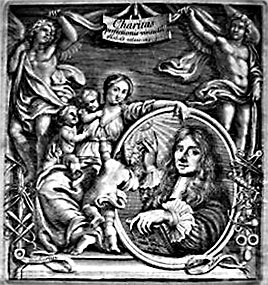 In the mid-seventeenth century, surgeon to the king François Mauriceau published Des malades des femmes grosses (1668), likewise citing the “great number of deliveries” he had seen at the Hôtel-Dieu. Not long after, Marguerite du Tertre de La Marche, who worked as a midwife in the Hôtel-Dieu during the 1670s, had her own observations disseminated as Instruction familière et très facile, faite par questions et réponses, touchant toutes les choses principales qu’une sage-femme doit sçavoir pour l’exercice de son art (1677). A century on, another midwife in the Hôtel-Dieu, Angélique Marguerite Le Boursier du Coudray, published an influential summary of her experiences: Abrégé de l’art des accouchemens (1759). At Louis XV’s request, she then travelled about the country training other women, using “the machine” – a malleable anatomical model of the parturient mother and infant. Marie-Louise Lachapelle took over from her mother Marie Jonet as the midwife in charge at the Hôtel-Dieu in 1797 and had her Pratique des accouchemens ou Mémoires et observations choisies, sur les points les plus importans de l’art printed in 1821. Paré had begun a tradition in French obstetrical publishing, demonstrating that the Hôtel-Dieu offered excellent opportunities to gain knowledge and authority in this sphere. It was an authority that enabled both women and men to access print, audiences, royal favour and influence over the practice of French obstetrics. In the wake of these accounts that claimed authority to write in part based on experience at the Hôtel-Dieu, requests to attend the facility from both women and men began to increase. Louise Bourgeois indicates in her works that her own daughter was training there around 1615. The governors, however, began to grow uneasy. The Hôtel-Dieu had always had a policy of being discreet about this room and what went on inside. In a fifteenth-century charter, the room itself was described as being enclosed, secret, and out of the way so that the women confined there would not be visible. After a series of scandals reached parlement in 1535 (including rumours that there had been pregnant nuns), even the nursing sisters were limited in their access, only being allowed entry if they were accompanied by an ‘honest matron’. A century later, the Hôtel-Dieu had formalised some training for midwives however. It allowed a small handful of apprentice midwives to attend birth and to develop their skills for a set period, very much as Bourgeois had recommended. However, midwives were not the only professionals seeking the benefits of observing the Hôtel-Dieu’s activities. Paul Portal spent six years at the Hôtel-Dieu from 1657 to 1663 during his surgical apprenticeship. At the end of a long career in Paris, he published La pratique des accouchemens soutenue d’un grand nombre d’observations (1685). Amongst other cases, he recalled an autopsy he had witnessed of a woman who had died shortly after giving birth at the Hôtel-Dieu many years earlier. This had revealed that some pieces of the afterbirth had not been expelled after the delivery. Such a conclusion typically had damaging ramifications for the midwives concerned. Indeed it was just such a finding from the royal surgeons and physicians that had caused Louise Bourgeois to be publicly called incompetent many years earlier. Certainly the Hôtel-Dieu’s own records during this period revealed that a series of deaths among new mothers had raised serious concerns. The governors assembled the six physicians servicing the institution to investigate. They discovered such gangrenous and infected tissue in the wombs of their bodies “that it was not possible to know for sure if this stemmed from the fault and ignorance of the midwife or from some bad constellation [of factors], this last being possible seeing as a large number of bad deliveries have occurred in the town”. Madame de Billy, the midwife in charge at the time, must have breathed a heavy sigh of relief. He argued that they “should rather close the door entirely to these permissions than to suffer deadly accidents because of it”. The governors decided therefore that henceforth permission would be strictly limited, and that those given it would not be permitted “to approach women in labour unless they have consented beforehand.” The woman in charge of the Hôtel-Dieu was thus charged with the duty to “know the sentiments of the women before they are in labour”. Just seven years later, the governors’ deliberations recorded another, perhaps more awkward, request that appeared to come directly from Louis XIV himself. The king’s surgeon, Charles-François Félix de Tassy, had asked to attend and practice deliveries in the Hôtel-Dieu. The governors debated what to do, “considering his merits and his employment with the King who wishes this”, before deciding that they would allow Félix de Tassy permission as long as he did not deliver or see deliver any woman “if she exhibits any sign of repugnance, however slight”. The story of the Hôtel-Dieu still contains many of the features we’ve come to associate with early modern birthing politics – the steady imposition of male expertise over previously female culture and space, and the influence of royal authority filtering down to change practices for better and worse more broadly. But these records appear to show that the march of professional men into the delivery room at the Hôtel-Dieu, at least for regular deliveries as opposed to cases requiring emergency intervention or autopsies, was rather slower and more complicated perhaps than the claims of men’s published works might suggest. 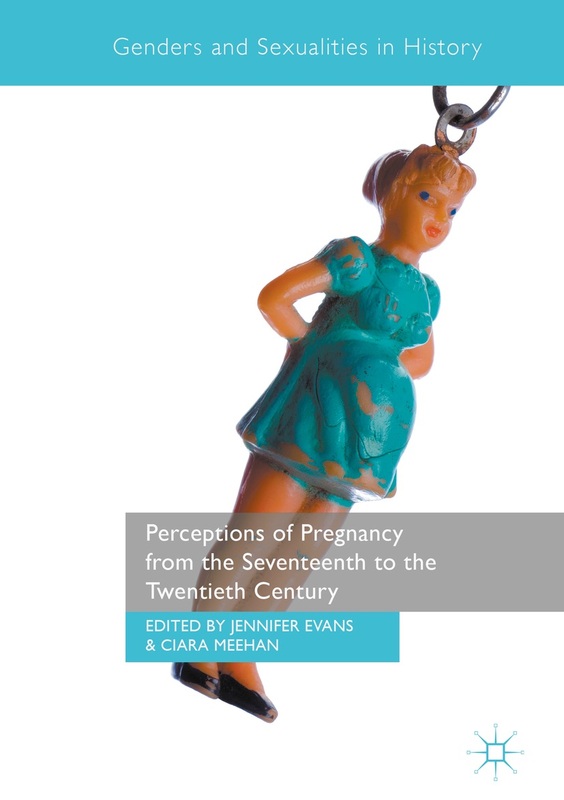 Women’s own perspectives and experiences as practitioners were recognised and valued in and outside the institution throughout the early modern period. And perhaps more surprisingly even the poorest woman who came to have her child at the Hôtel-Dieu had an opinion and feelings that were expected to be not only heard but respected. 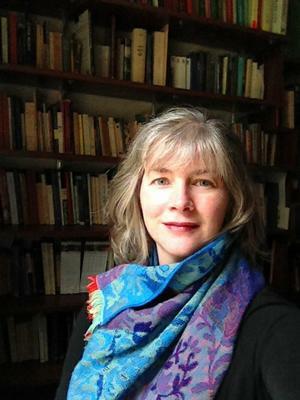 Susan Broomhall is Professor of Early Modern History at The University of Western Australian and an Australian Research Council Future Fellow. She researches women and gender in early modern France, the Low Countries, England and Scotland with a special interest in emotions, healthcare, poverty and marginalised groups. She is currently researching emotions in Catherine de Medici’s epistolary practice and completing a history of the sixteenth-century French poor. See Ernest Coyecque, L’Hotel-Dieu de Paris au Moyen Age, 2 vols (Paris: Champion, 1891, 1889); Susan Broomhall, Women’s Medical Work in Early Modern France (Manchester: Manchester University Press, 2004), chapter 3. On the differentiation in rates of pay over the course of the century, see Broomhall, “Charitable Medicine: The provision of health care in the sixteenth century Hôtel-Dieu de Paris,” Le Cabinet du curieux: Culture, savoirs, religion de l’Antiquité à l’Ancien Régime, Ed. Witold Konstanty Pietrzak, Magdalena Kozluk (Paris: Classiques Garnier, 2013), 145-160. P.M. Dunn, “Paul Portal (1630-1703), man-midwife of Paris,” Archives of Disease in Childhood. Fetal and Neonatal Edition, 91(5) 2006, pp. 385–387. Case discussed in McTavish, “Concealing Spectacles: Childbirth and Visuality in Early Modern France,” Editing (Out?) The Image, (eds) Mark Cheetham, Elizabeth Legge, and Catherine Soussloff (Toronto: University of Toronto Press, 2008), p. 101. My translation. Léon Brièle, Notes pour servir à l’histoire de l’Hôtel-Dieu de Paris (Paris: Ernest Thorin, 1870) p. 30. This entry was posted in Blog Posts and tagged early modern, medical authority, medicine, midwives, obstetrics, surgeons. Bookmark the permalink.